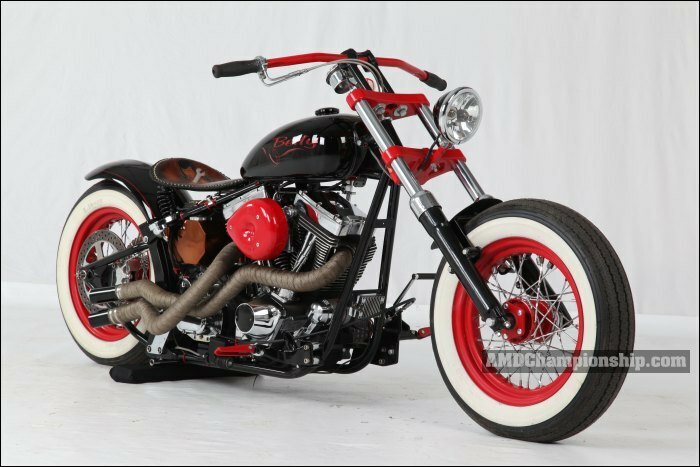 This is a beyond low rider-old school Bobber w x-rated graphics. 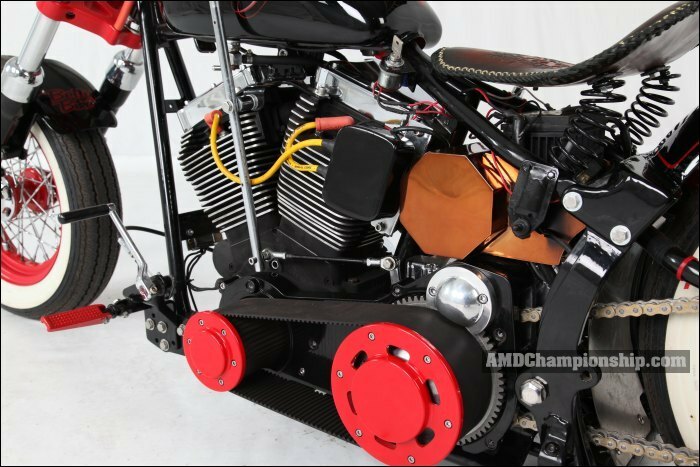 Anodized copper oil tank - hand tooled leather spring seat, S&S Rocker Covers, Anderson foot pegs, Pipes made by PNCC and wrapped in "Boom Mat (CryO2) Ny-Trex- Nitrous" (figure that out) pipe wrap. Last minute; Gauged- hydraulic "Legend" shocks - can use kick stand or drop bike to frame pads. 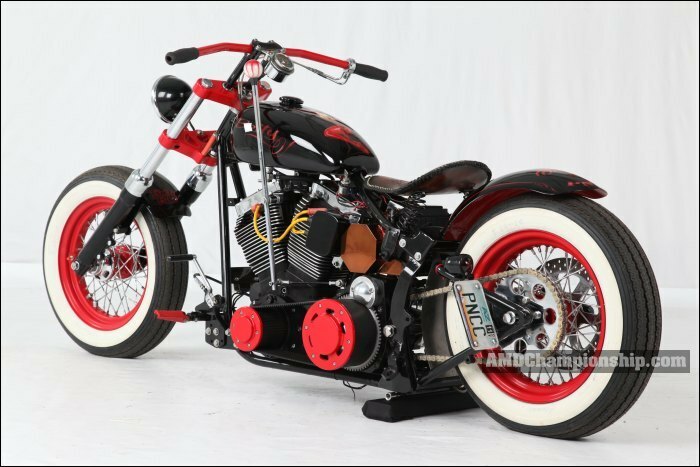 Perry Nelson PNCC Perry Nelson Custom Choppers Phoenix AZ.